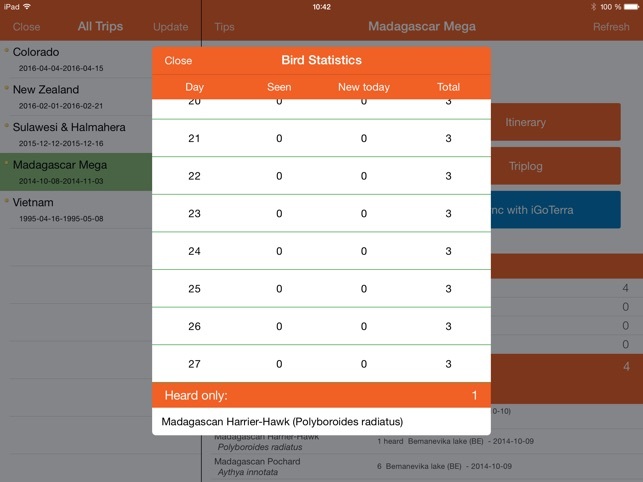 iGoTerra Trips is a checklist app provided by iGoTerra - it is part of an integrated tool designed for tour operators and dedicated naturalists to plan and administrate eco-excursions. 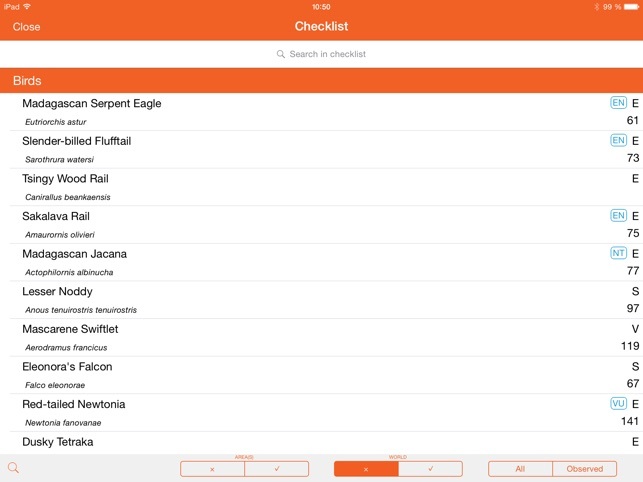 The tool handles customized checklists (birds, mammals, reptiles, etc) for any country in the world and is designed to take down notes off-line in the daily log reviews. 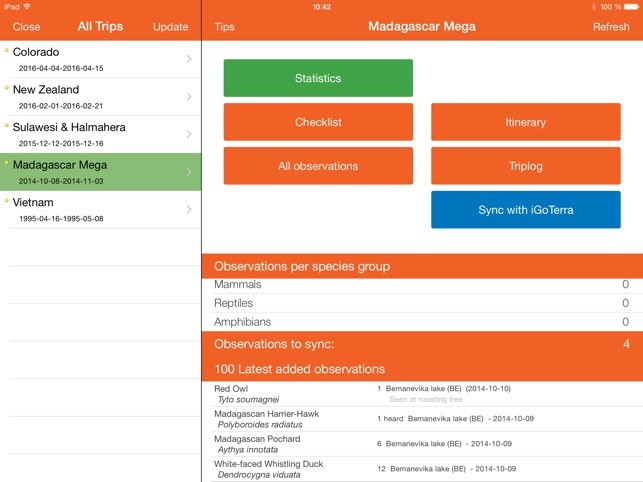 When web access is available, an upload to the iGoTerra website automatically generates the annotated checklist for the trip. 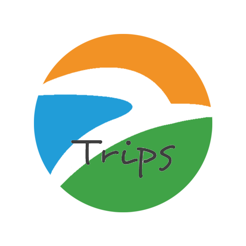 Trips is a powerful driver for company efficiency and increased client value for large and small tour operators alike. 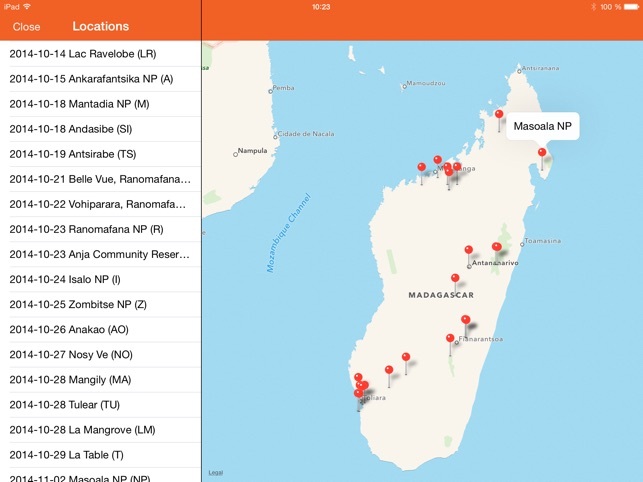 Immediately results in less administrative time spent by tour leaders and significantly improves checklist and trip report quality. 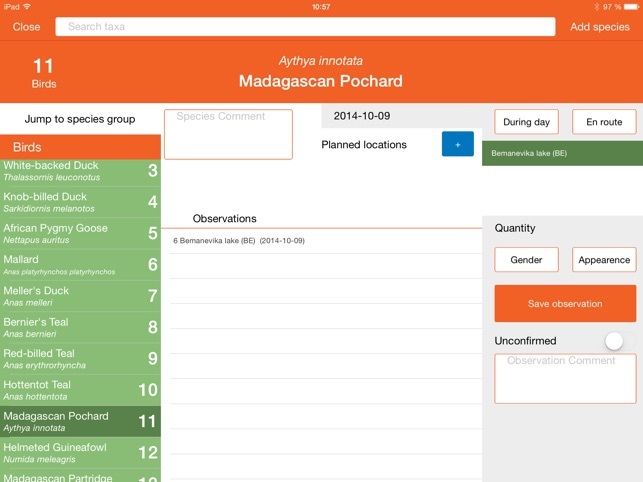 Tour participants will benefit from up-to-date personalized checklists and can copy observations to their personal account. Minor UX-improvements! And stability improvements!